Wouldn’t you love it if you turned on your television one evening to watch the news and saw G.O and Seung Ho sitting at the news anchor desk? I may for once watch the news if that were the case. Today I felt like a Playful G.O moment and thought his repartee with Seungho at the close of the Trend-E’s APink News broadcast back on 11 March 2011 would be nice since our beloved leader is now away serving his military duty. Categories: G.O Military Discharge, MBLAQ Musings, The G.O Files | Tags: APink, G.O, G.O images, G.O on Television, G.O on Variety, G.O on Variety Shows, 정병희, 지오, Jung Byung Hee, Jung Byung Hee images, MBLAQ G.O, MBLAQ G.O images, MBLAQ G.O on Television, MBLAQ G.O on Variety Shows, MBLAQ Seung Ho, MBLAQ Seung Ho on Television, MBLAQ Seung Ho on Variety Shows, Trend-E APink News, Yang Seung Ho, Yang Seung Ho on Television, Yang Seung Ho on Variety Shows | Permalink. I feel like a Windows To Your Soul ~ The G.O Eye Connect moment today and found a nice example in fan-cam form. I thought about waiting until Friday to make it a double categoried day but then figured why wait? I am relaxing my rules these final days of G.O’s service. I should even try to challenge myself to come up with fan-cam moments for each day remaining. I am confident there are enough cams out there to satisfy that challenge and I am sure it would be cool with everyone, right? Hehehe….cams will steadily make appearances regardless of the day and if I chose that route, I would not get my One Shot moments in or finish the alphabet in The ABC’s of G.O sub-series. And you know I must keep those selca moments in rotation. Therefore, I will stay my current course. For today then I give an Eye Connect moment from the taping of the MBC Korean variety program, 매직쇼크 [Magic Shock]. Categories: From The Korean Musical Stage, G.O Military Discharge, MBLAQ Musings, The G.O Files | Tags: G.O, G.O on Television, G.O on Variety Shows, 서편제, 정병희, 지오, Jung Byung Hee, Jung Byung Hee images, Korean entertainment, Korean Variety, Korean Variety Television, MBC Magic Shock, MBLAQ G.O, MBLAQ G.O images, MBLAQ G.O on Television, MBLAQ G.O on Variety | Permalink. I have never taken part in a variety show or sitcom live taping but would gather to say that it is probably a long process with many breaks, delays and takes in the action which probably make conditions ripe for mischief. Such was the case when our main vocal mischief maker had a little fun on the Star King set back on 17 January 2011. We really are quite fortunate that G.O engages with his fans with the level of comfort he does which, if you ask me, often seems more family familiar than fan familiar. 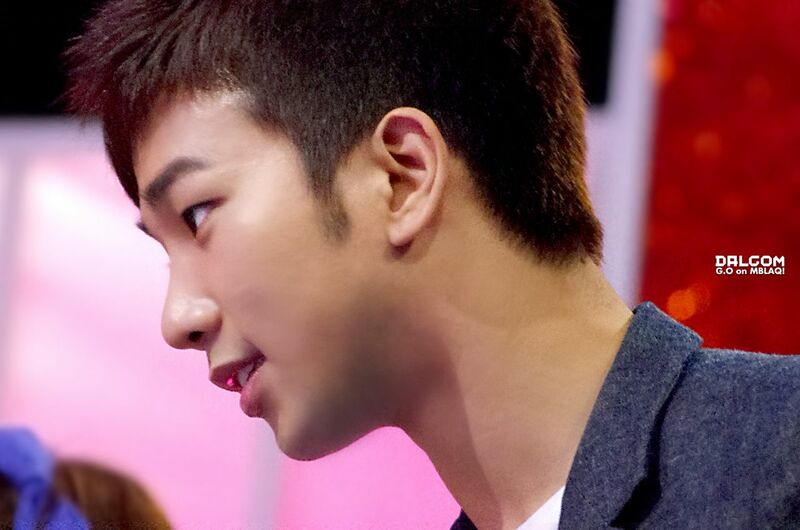 Categories: G.O Military Discharge, MBLAQ Musings, The G.O Files | Tags: G.O on Star King, G.O on Variety Shows, G.O's Fan Service, G5, 정병희, 지오, Jung Byung Hee, Jung Byung Hee images, Korean entertainment, Korean Variety Shows, MBLAQ G.O, MBLAQ G.O images, MBLAQ G.O on Star King, MBLAQ G.O on Variety Shows, MBLAQ G.O's Fan Service, Mighty Mouth, Playful G.O | Permalink. 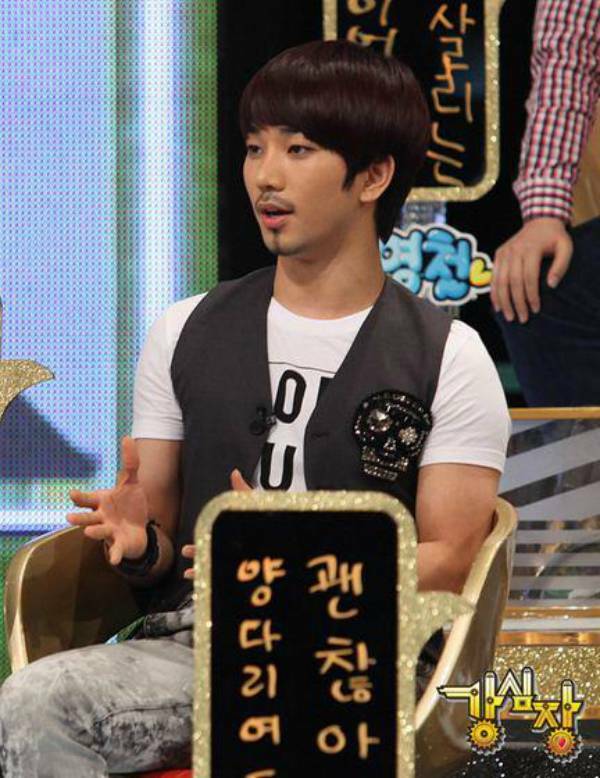 Categories: G.O Military Discharge, MBLAQ Musings, The G.O Files | Tags: Antoine St. Exupéry, G.O, G.O images, G.O on Beatles Code, G.O on Variety Shows, G.O One Shot, G.O's Military Discharge, G.O's Military Service, 정병희, 지오, Jung Byung Hee, Jung Byung Hee images, Korean Variety, Korean Variety Shows, MBLAQ G.O, MBLAQ G.O images, MBLAQ G.O on Beatles Code, MBLAQ G.O on Variety Shows, Mnet Beatles Code, The Little Prince | Permalink. There’s always a reason for the ddaeng! When is MBLAQ and variety not a good match? I know I am biased. In all honesty, I have to confess that I have not watched other groups in variety shows outside of that hilarious Running Man episode with Seung Ho and Joon wherein there were other idol duos guesting along with them. So I have no real point of reference. However I do know one thing: MBLAQ sets the bar pretty high (for me) when it comes to variety entertainment. True, they have guested on many. But if you focus on the core four: Idol Army, Sesame Player, Hello Baby and Idol Manager, I think you will agree that MBLAQ owned Korean variety from 2009 through 2012. 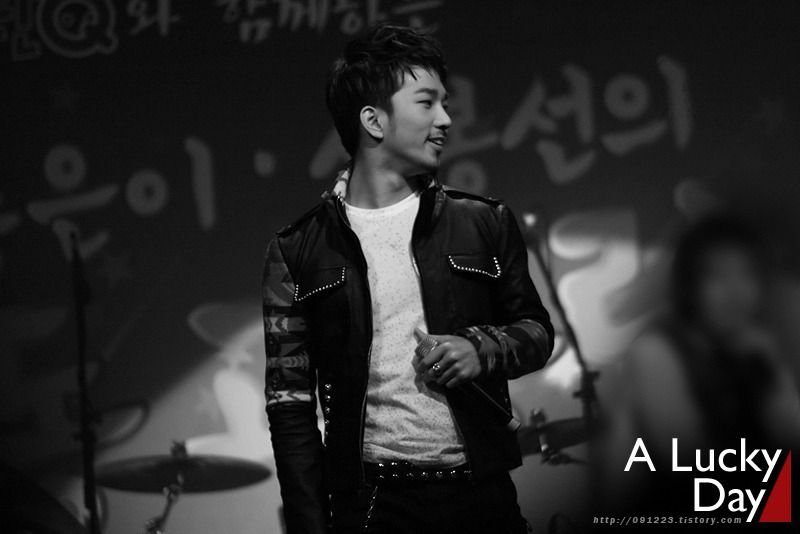 Today I am going way back to MBLAQ’s variety infancy to revisit a moment from Idol Army, Episode 10 [The Ski Resort Special] and MBLAQ’s National Music Show where bad boy G.O got to show a little vocal prowess and lots of humor with Rain’s Rainism. Categories: G.O Military Discharge, MBLAQ Musings, The G.O Files | Tags: Bi Rain, Bi Rain Rainism, G.O, G.O images, G.O on Variety Shows, 정병희, 지오, Jung Byung Hee, Jung Byung Hee images, Korean entertainment, MBC Idol Army, MBLAQ G.O, MBLAQ G.O images, MBLAQ G.O on Variety Shows, MBLAQ Idol Army, MBLAQ Variety, Vocal Virtuosity | Permalink. Is it possible to find a Vocal Virtuosity moment during a Korean game show? Absolutely! Back in April 2011, our main vocal man along with leader Seung Ho appeared on 1 vs. 100, a game show that was originally developed by a Dutch-based media company that saw its concept grow worldwide. Along with many other countries, South Korea had its version as well. The basic concept pitted one contestant against a panel consisting of 100 people. If the contestant was able to eliminate the entire 100 by answering questions correctly, he or she would walk away with a large cash prize. 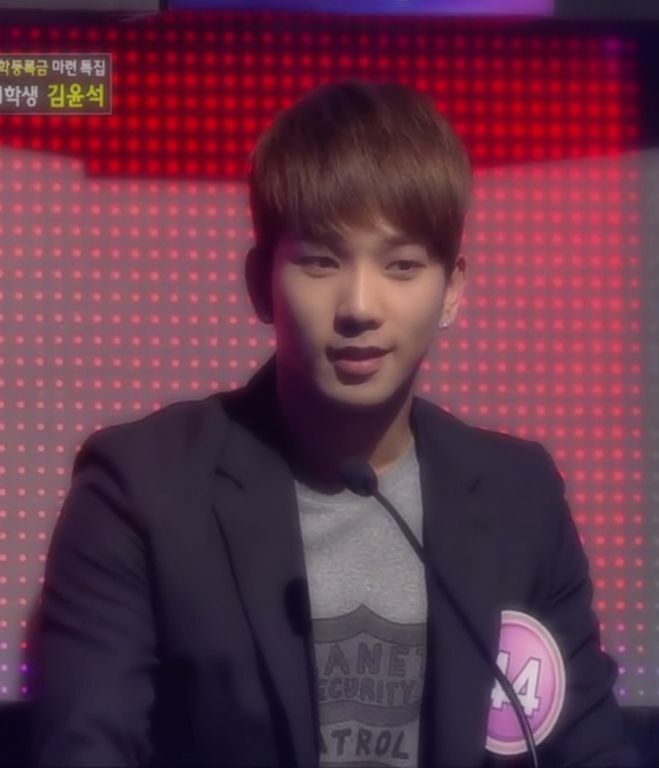 Frankly, I am not sure I would be able to answer anything after hearing G.O sing. Even the few bars of 다시 [Again] stun me. However, it makes for a perfect short and sweet Vocal Virtuosity moment for Day 472 and, there is a bonus: he sings with Seung Ho. Categories: G.O Military Discharge, MBLAQ Musings, The G.O Files | Tags: 1vs100 Variety Show, G.O, G.O images, G.O on Television, G.O on Variety Shows, G.O's Military Service, Jung Byung Hee, Jung Byung Hee images, KBS 1vs100, Korean Game Show, Korean Variety, Korean Variety and Reality Shows, MBLAQ G.O, MBLAQ G.O images, MBLAQ G.O on Television, MBLAQ G.O on Variety Shows, MBLAQ Seung Ho, MBLAQ Seung Ho images, MBLAQ Seung Ho on Television, MBLAQ Yang Seung Ho, Yang Seung Ho, Yang Seung Ho images, Yang Seung Ho on Korean Variety Shows, Yang Seung Ho on Television | Permalink.